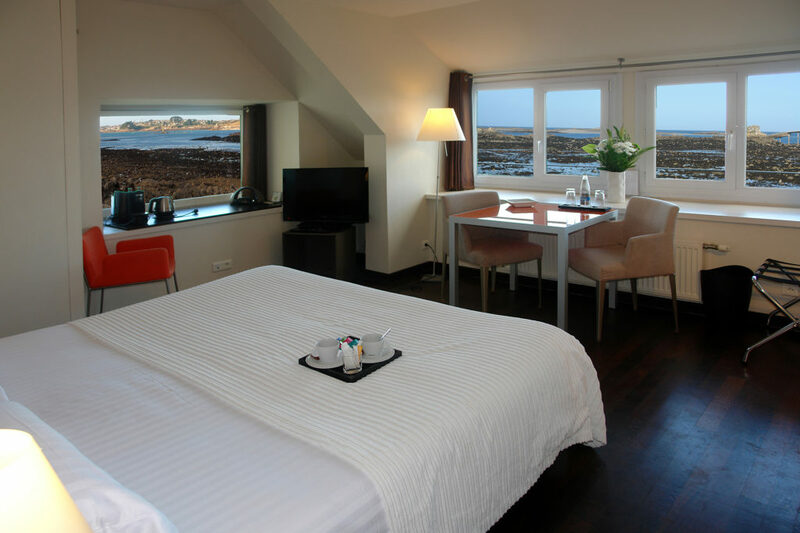 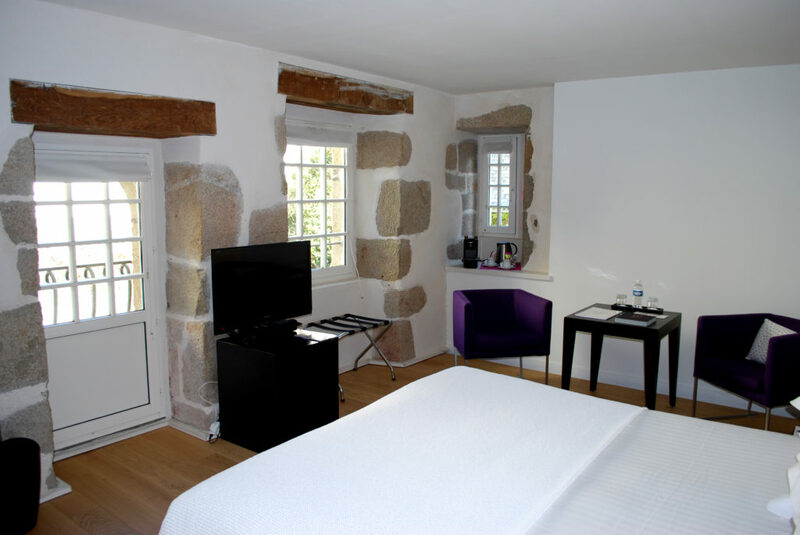 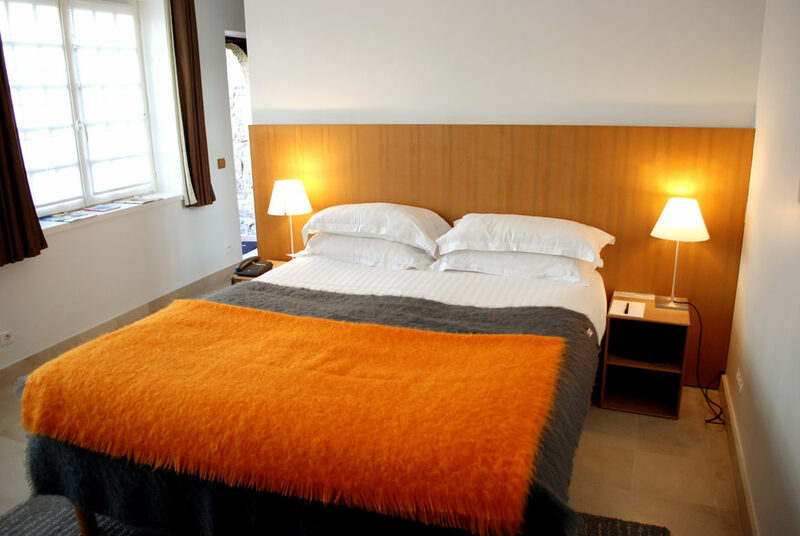 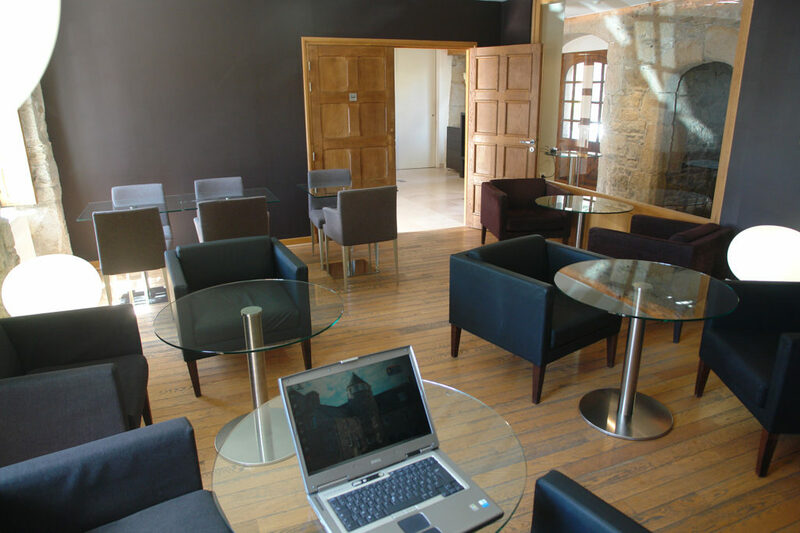 In Brittany, in the north FINISTERE in ROSCOFF, you can relax and take your time, in this hotel 4**** facing the sea. 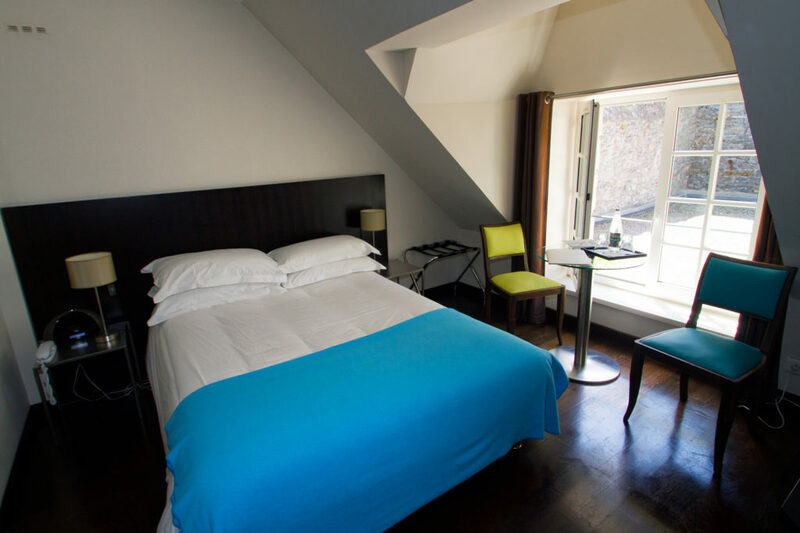 Suites and Deluxe rooms with a panoramic sea view; Superiors and Classic rooms offering a view of the bell tower or of our garden. 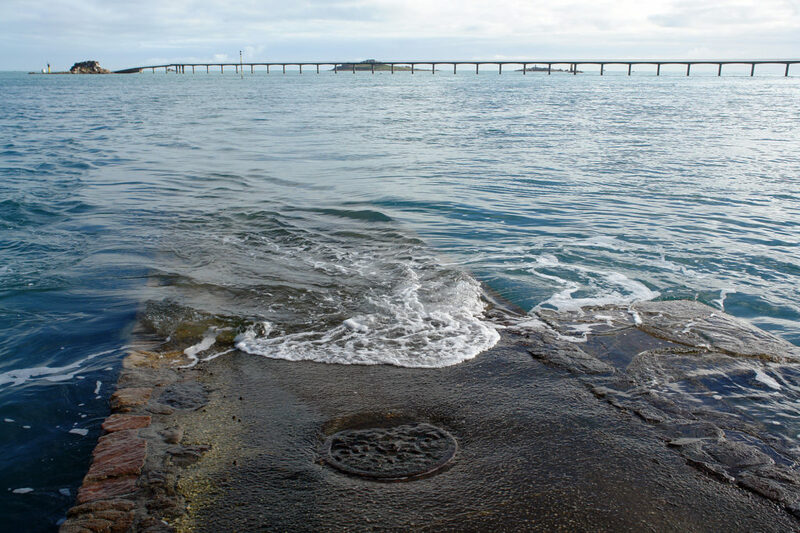 An alley next to the building leads you directly to the natural big blue. 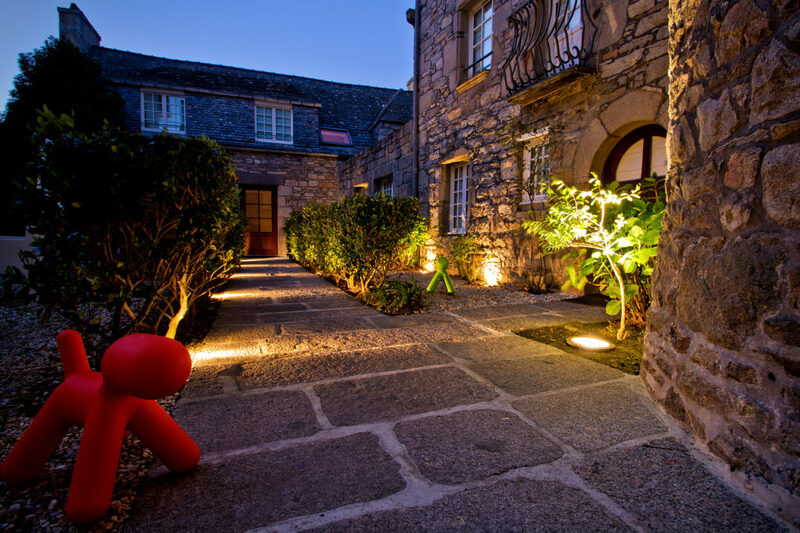 Just let the time flow while you discover our magnificent region. 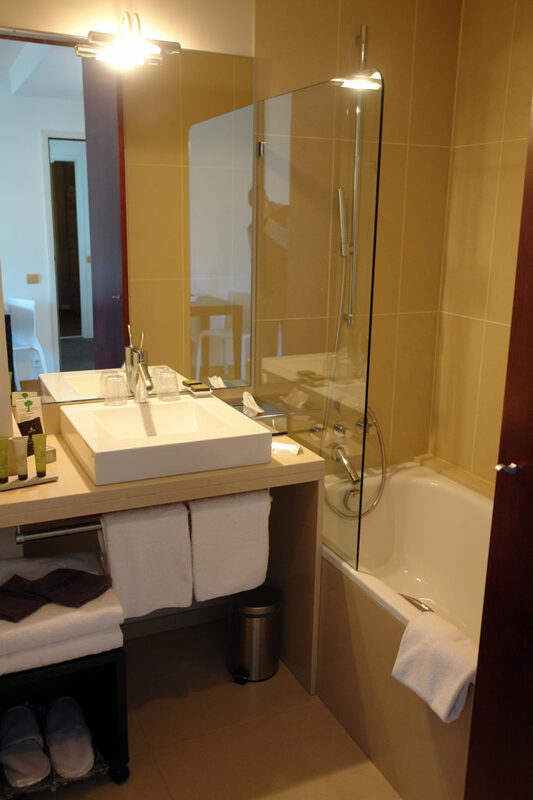 We are equipped to welcome disabled people. 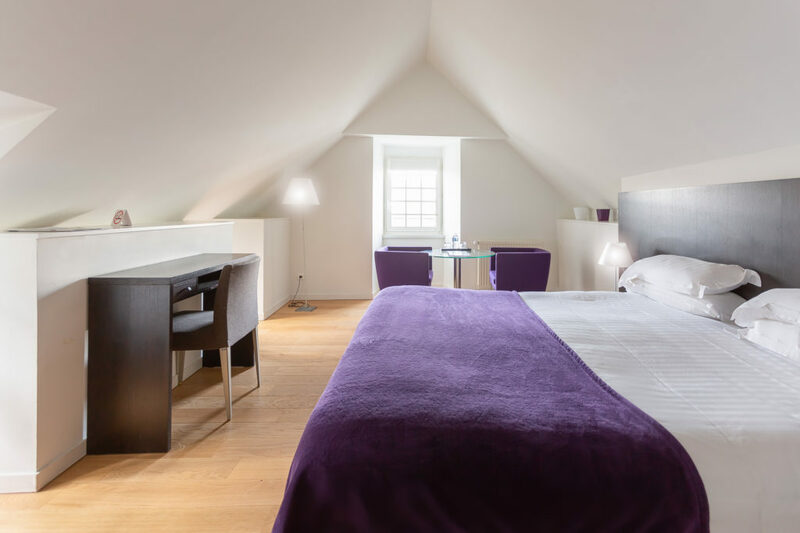 Situated in the manor house built in 1585, this room with a modern style and design furnitures is made of a queen size bed and an open bathroom. 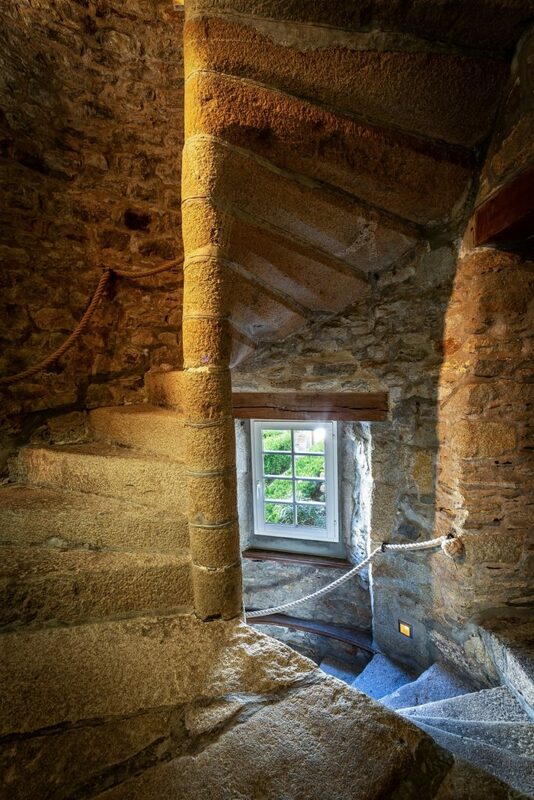 It offers a view on our garden. 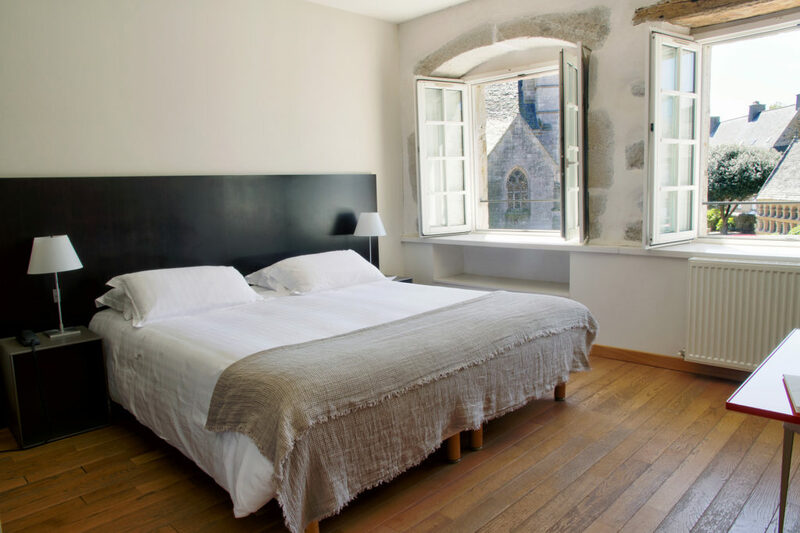 Situated in the manor house built in 1585, this room with a modern style and design furnitures is made of a queen size bed (or twin beds) and a bathroom with either a bath or a shower. 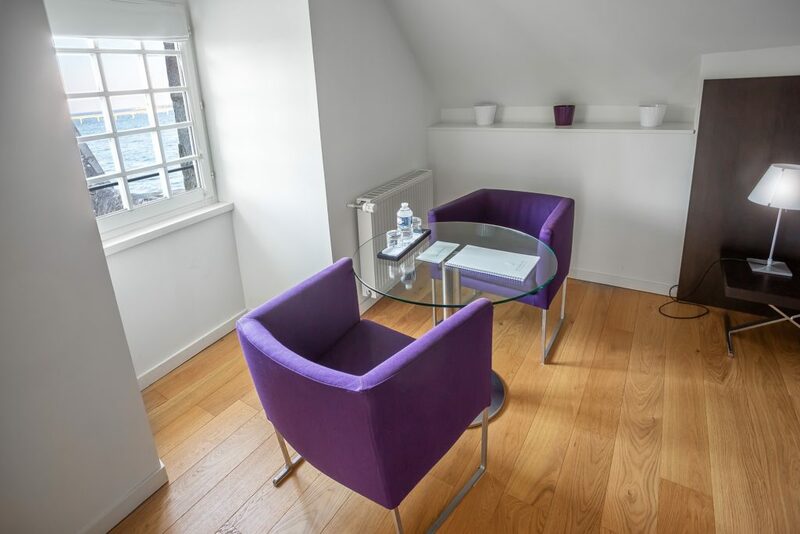 It offers a view on our garden or on the church place depending on the one allocated to you. 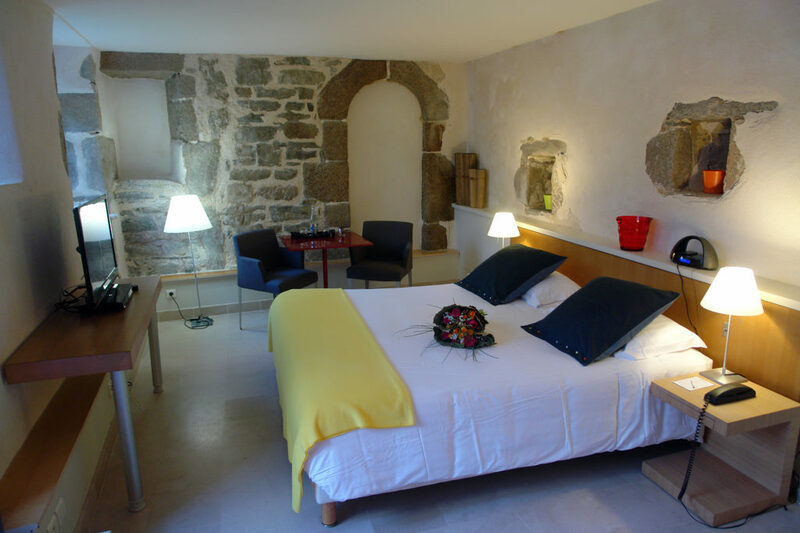 Situated in the manor house built in 1585, this room with a modern style and design furnitures is made of a queen size bed (or twin beds) and a bathroom with either a bath or a shower. 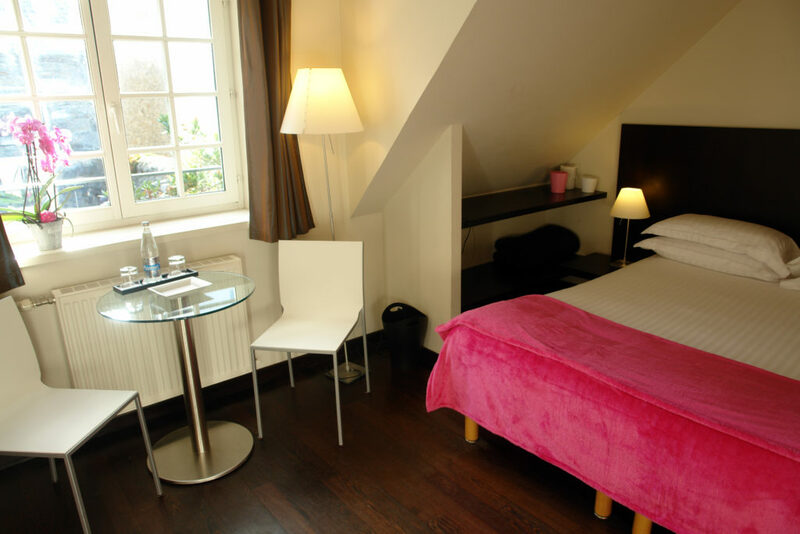 It offers a view on our garden or on the church place depending on the one allocated to you. 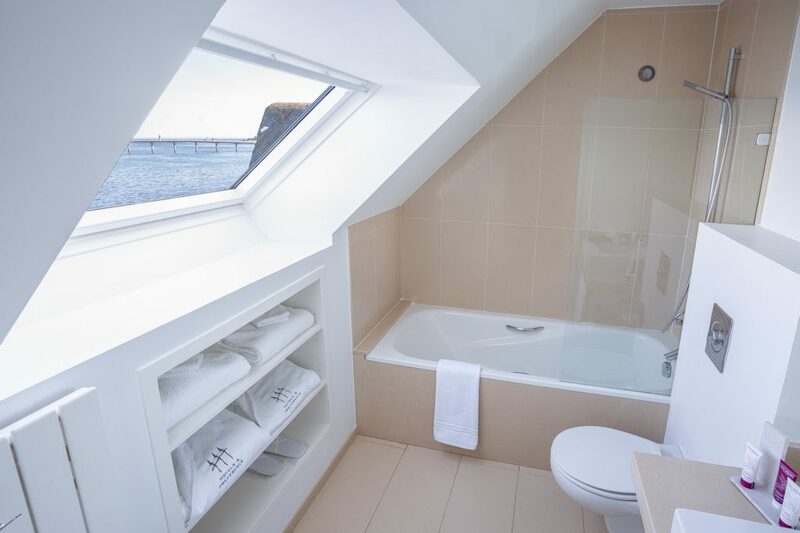 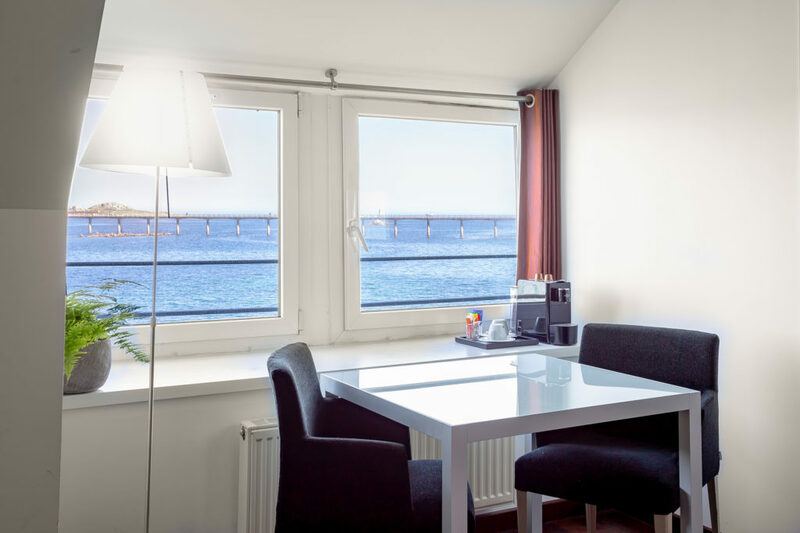 The bonus of this room is one window facing the sea. 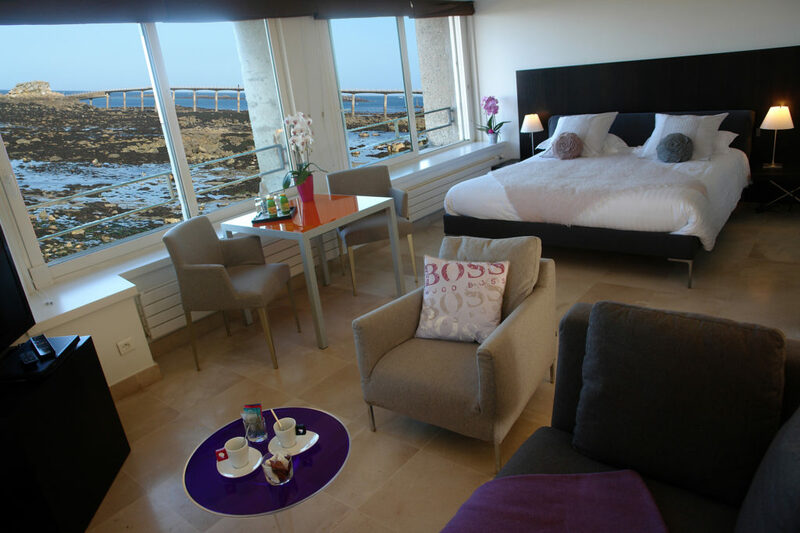 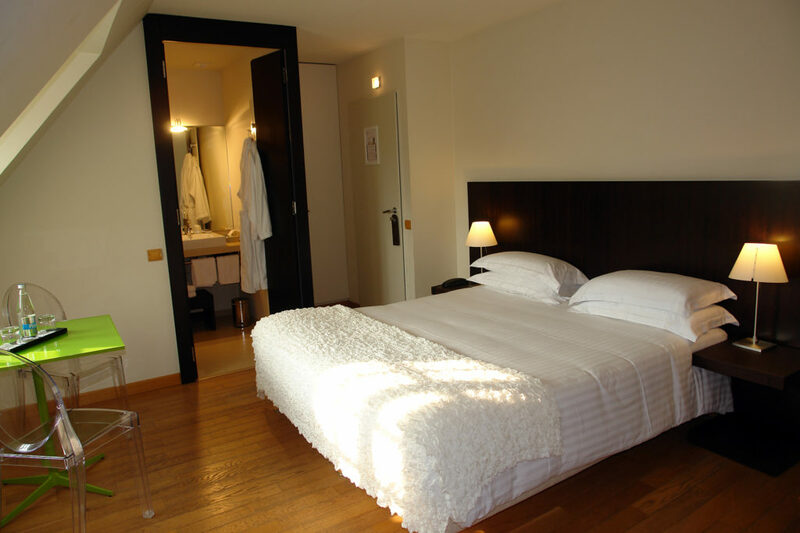 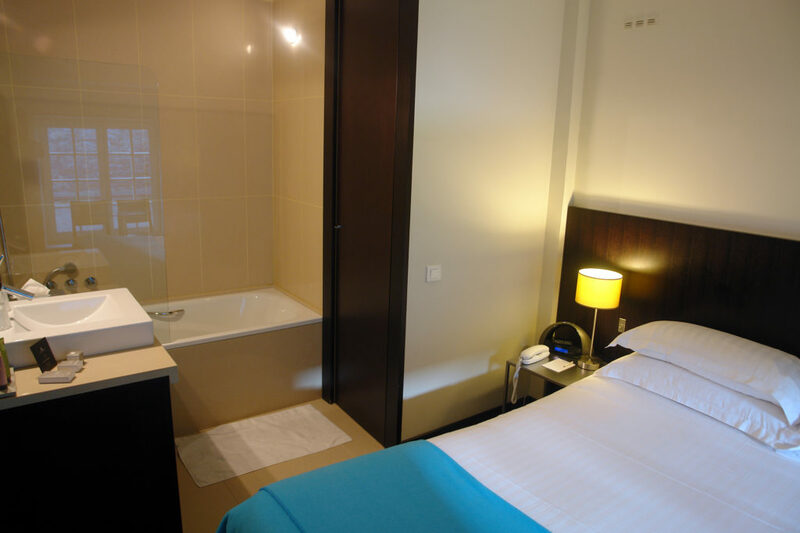 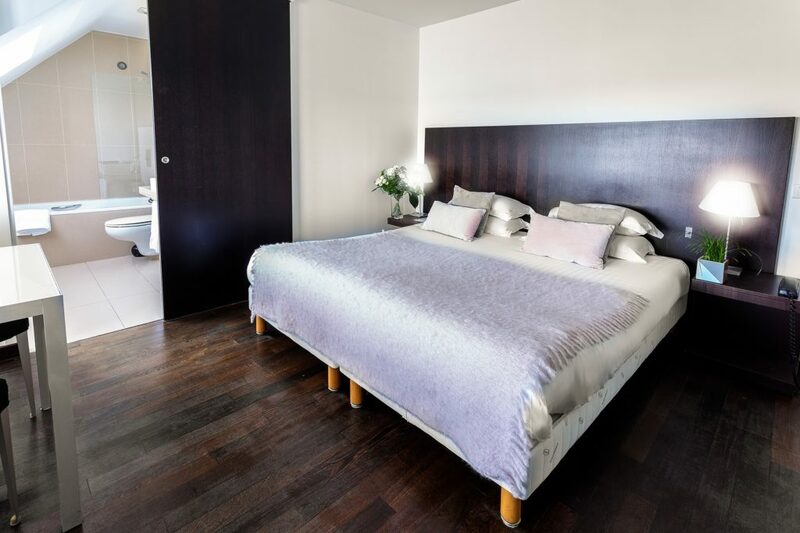 On the 1st floor of the building facing the sea, this room with a modern style and design furnitures is made of a queen size bed (or twin beds) and a bathroom with either a bath or a shower. 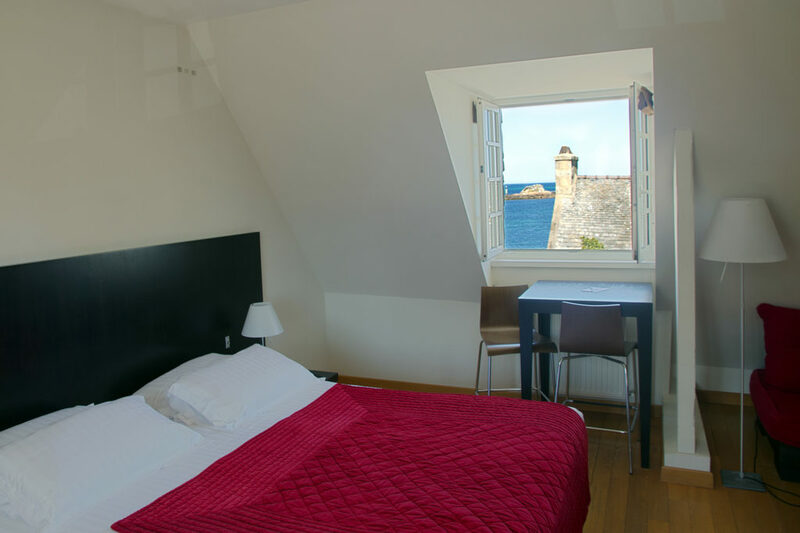 It offers a panoramic sea view. 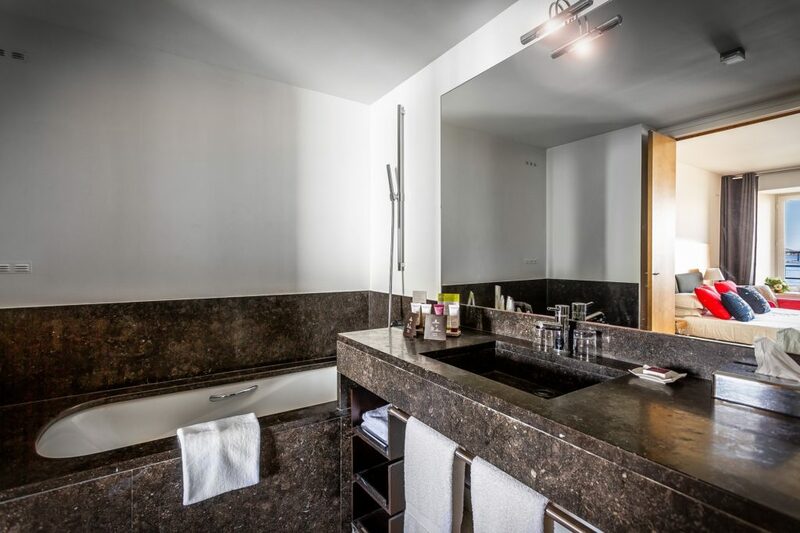 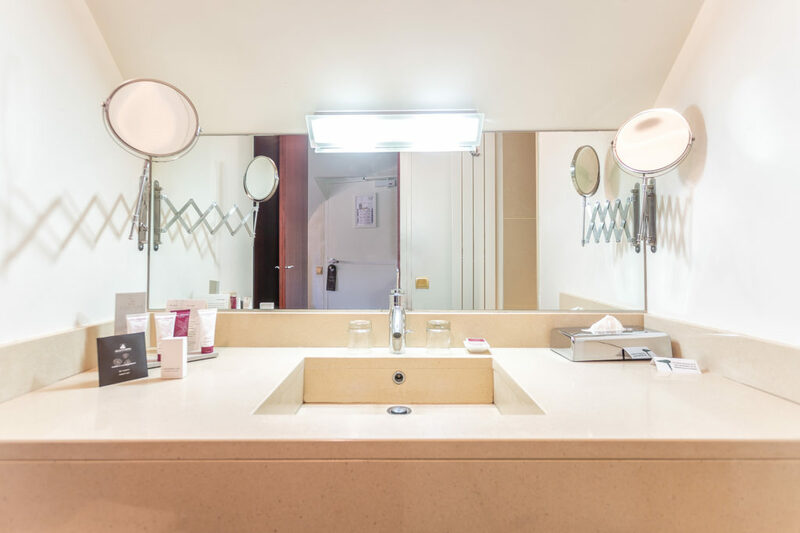 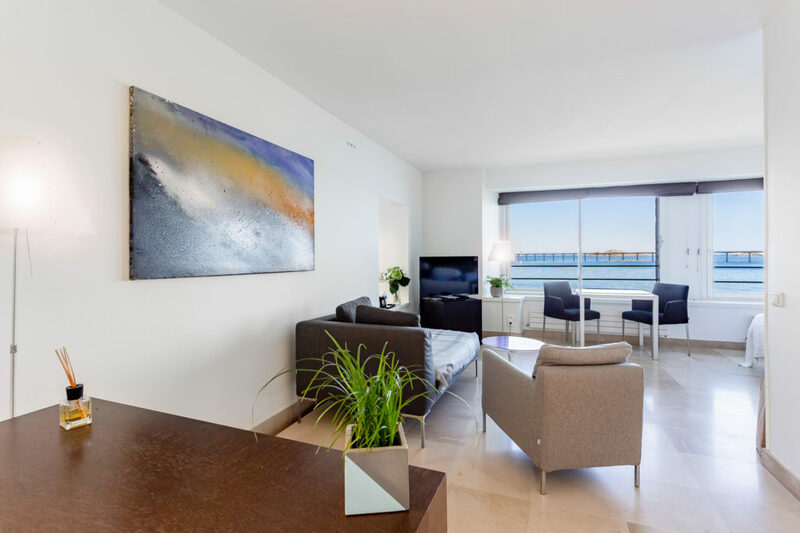 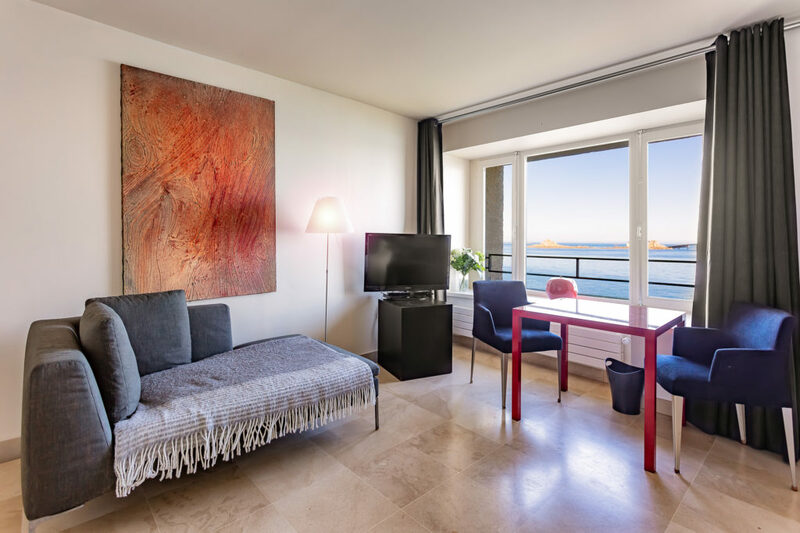 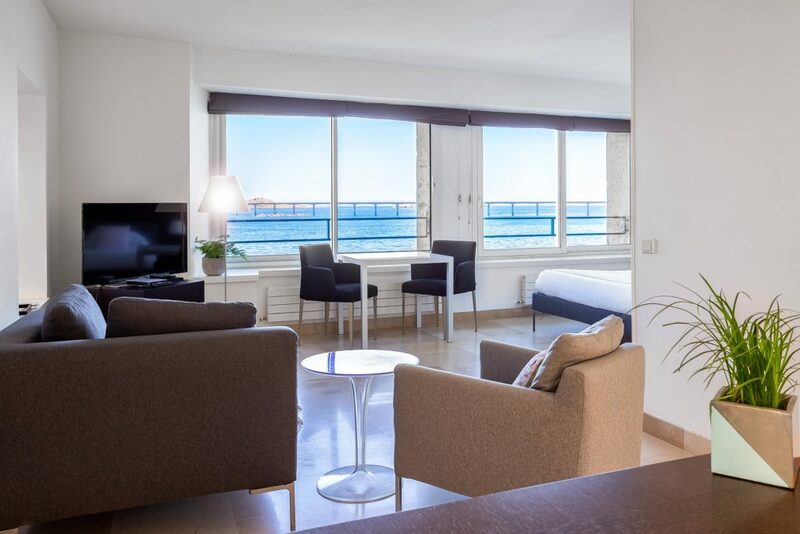 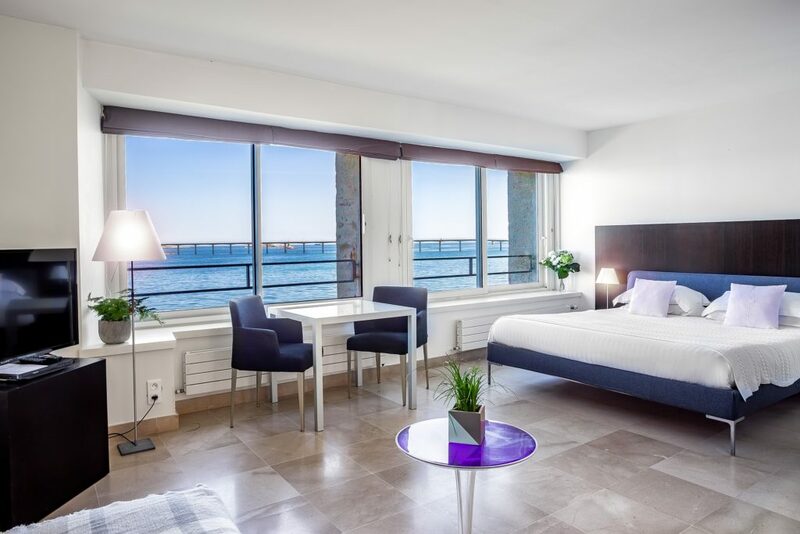 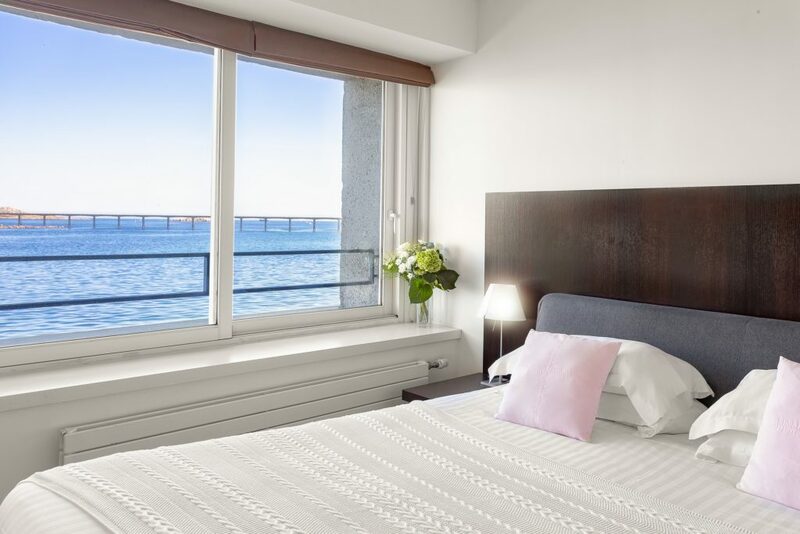 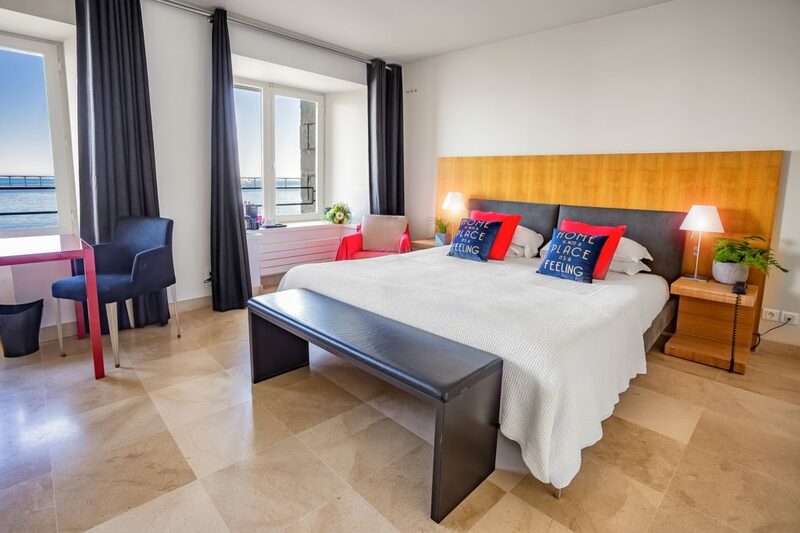 On the ground floor of the building facing the sea, this junior suite panoramic sea view is on a contemporary style with design furnitures, it consists of a room with a king bed and a bathroom with a bath and a shower.